Modern day football has become a professional game of the highest order, where money speaks loudest, player loyalty is as rare as silverware for ManCity, and big clubs poach youngsters from clubs with smaller financial muscle, with trick or crook. Amidst all these there still stand a club, who recruit players from their locality, born to their tribe and is even ready to forsake their top-flight status, in order to stick to their principles. Athletic Bilbao, the Spanish club, is a Basque institution that adheres to their ‘la cantera’ policy so passionately that, no non-Basque player has played for them since 1912. The Basque People are a group of people inhabiting northern parts of Spain and France, areas around the Bay of Biscay. Historically the Basque people have always been in conflict with the Castilles of Central Spain. Athletic Bilbao was started by British workers in the Basque region, in 1902. The club still uses the English version of the word “Athletic” rather than “Atletico” more common is Spain, and used by Atletico Madrid. History has it that their red and white stripes were adopted from the shirts worn by Southampton FC in England. Bilbao play their games at the Estadio San Mames, better known as ‘El Catredal’ because of its vicinity to the Cathredal of San Mames. Athletic have adhered to their ‘la cantera’ policy eversince 1912. For the club, it was a way to represent their Basque nationalism, and the case has remained so, throughout the club’s history. Athletic was one of the founding members of the La Liga in 1928, and along with Real Madrid CF and FC Barcelona, remain the only clubs that have not been relegated. Throughout 1930’s , 40’s and 50’s Athletic was one of the most successful clubs in Spain, winning 5 La Liga titles and 11 Copa del Reys.This was of course helped by the restriction imposed on foreign players. In the 60’s however Real Madrid dominated Spanish football. After 2000, Athletic has been involved more in relegation survival fights than in title challenges. The club narrowly avoided relegation in the 2005-‘06 and ‘06-‘07 seasons, with results afvouring them in the last fortnight of the season. This season, Athletic is at the 19th spot, with 5 points from 9 games. But the dismal performances on the field has not affected the club’s allegiance to their ‘la cantera’ policy. The club’s official site makes this stance very clear. The supporters are right behind the club, and they are not dismayed by the bad results. In a survey conducted by the Spanish newspaper ‘El Mundo’ in the late 1990’s 76 per cent of Athletic’s supporters said they would watch Athletic play in the Spanish Segunda , than see the club give up their famous ‘la cantera’ policy. Joseba Etxeberria, Athletic’s captain, idol and best player symbolizes everything the Basque institution stands for. He has signed a contract with his beloved club, which will see him play his final season at the club for nothing. That is the kind of spirit and loyalty that the Athletic fans admire and live for. 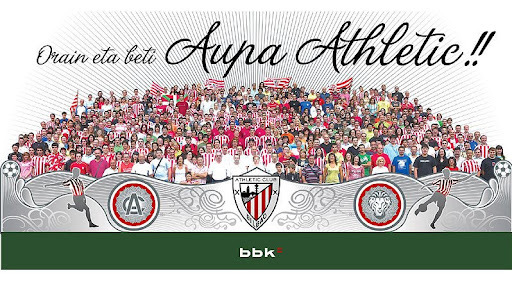 Athletic Club Bilbao may not be regular winners on the field, but on the terraces, where loyalty and pride is everything, they are the ultimate team and the ultimate winners. In a footballing landscape dominated by mercenaries, Athletic Club Bilbao are the real warriors, and probably the only ones left.